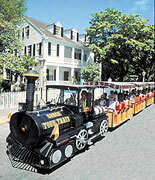 See the best of Key West by train, then visit the home of Key West's world famous author. The Conch Tour Train and Ernest Hemingway Home and Museum Package is one excursion that is sure to inform and inspire, while saving time and money! See the Best of Key West on the tour that's been entertaining visitors to the Island City since 1958. The Conch Tour Train is one of Florida's most popular attractions, and for good reason. Our expert engineers and friendly staff have delighted over 10 million guests with the legends and lore of this charming tropical paradise. 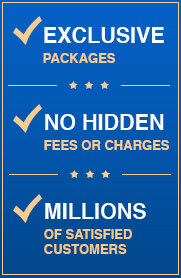 Become captivated by the magic that is Key West! Join us on a 'train ride' through history. We'll take you back to the days before civilization, when fierce Indians left their enemy's bones to bleach in a tropical wilderness, naming the island Bone Key. Explore this lush, tropical island, and discover the charm and grace of one of America's most unique architectural pleasures. Get to know characters like John James Audubon, Harry S Truman and of course, Ernest Hemingway. Then, step off the trolley and into his shoes for a 35 minute tour of his beautiful home and lush grounds. Ernest Hemingway lived and wrote here for more than ten years. Calling Key West home, he found solace and great physical challenge fishing in the turquoise waters that surround this tiny island. Go back in time and visit the rooms and beautiful gardens that witnessed the most prolific period of this Nobel Prize winner's writing career. Many of Hemingway's characters and storylines were linked to Key West and the people and places he knew and loved. Educated tour guides give insightful narratives and are eager to answer questions. 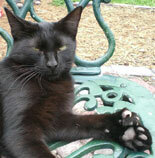 See the descendants of Hemingway's 6 toed cats, who make themselves at home here. The is the best way to see Key West and one of it's major attractions. Save time and save money. 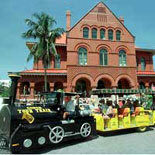 Get your eTickets today for the Conch Tour Train - Hemingway Home and Museum Package! Conch Tour Train: Daily from 9:00 am to 4:30 pm 364 days a year. Closed at 1pm on the last Friday in October and closed the last Saturday in October for Fantasy Fest. Tours depart approx. every 30 minutes. 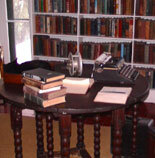 Earnest Hemingway House and Museum is open daily from 9:00 am to 5:00 pm - 365 days a year. Conch Train Depot-Mallory Square - 303 Front St., Key West, FL, 33040. Additional Conch Train departure at the Corner of Truman and Duval. + You can get off a train and board a different train to return. 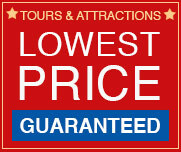 + Conch Tour Train Tickets purchased online can be used any day. +Assistance animals, such as seeing-eye dogs, are the only animals that are allowed on board the train.